Serviced apartments are a Hotel alternative used for corporate, business or leisure stays. They are generally booked for a couple of nights or more with most providers offering flexible booking arrangements for short or extended stays. This is not a new concept but for those who have never stayed in a serviced apartment you may not be fully aware of what they provide. 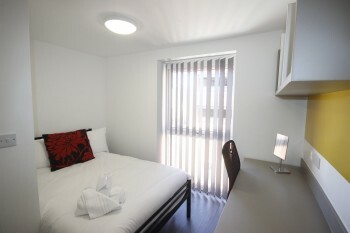 Put quite simply, a serviced apartment offers independent living with bedrooms separate to the living area. They are inclusive of a fully equipped kitchen and a dining table which doubles up as a place to play board games or catch-up on work assignments. So what exactly are serviced apartments? 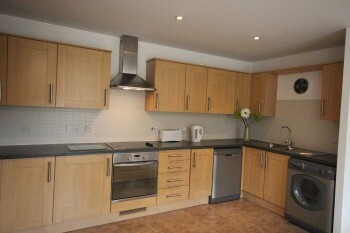 Inclusive of a fully fitted and equipped modern kitchen. This doesn’t just mean a minibar and a kettle, but the full works, just like you’d have at home: oven and hob, microwave, dishwasher, fridge/ freezer, toaster and kettle. This offers guests the opportunity to shop out and eat in, (a great way to make substantial savings on your travel budget and to have a healthier eating plan). In the kitchen you will also find a washer/dryer as well as an iron and ironing board. So there is no excuse for turning up at that important meeting in a crumpled shirt or for running up massive hotel laundry bills. You can travel light and still have a fresh outfit everyday! Added to the spaciousness of a serviced apartment is a dining area with table and chairs that can double as a work table, a space to entertain guests or just for you to relax at the start and end of the day. You could dine in with style! And, while we’re talking about relaxation, there is a comfortable lounge area with sofa and armchairs, a large screen TV with Sky and a DVD player. Bedrooms are spacious with comfortable bed and linen. 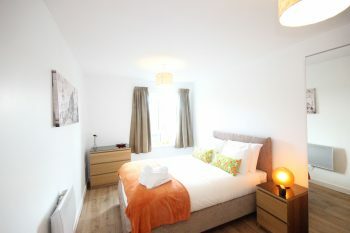 Some bedrooms may even have the addition of another TV, or a complimentary pair of slippers too! 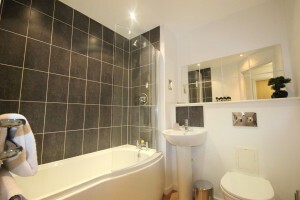 All serviced apartments have at least one private bathroom and toilet many of which are en-suite. To complete our description of a serviced apartment, there are some important finishing touches. For starters, there is free broadband or Wi-Fi and a free parking space. Many serviced apartment providers have a weekly housemaid service who cleans and replaces all towels and linen with fresh ones – a great advantage to those staying for a week or more. Serviced apartments offer spacious, independent living style accommodation at a nightly rate less than a hotel of equivalent standards. It is similar to renting a flat in a residential development but the difference is that there are no contracts to sign, no deposit to pay and no water/gas/electricity/council tax bills to take care of. 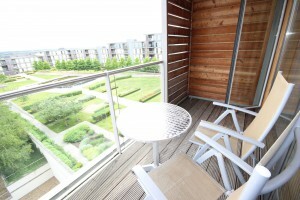 You collect your keys from the concierge desk and make your way to your apartment, unpack and relax!